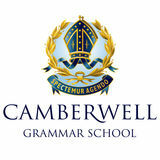 Cadet Auxiliary Camberwell Grammar has one of the longest established Cadet Units within the Victorian school system and is the largest volunteer school Cadet Unit in Victoria. The CGS Cadet Unit provides an outstanding opportunity for boys to learn invaluable team leadership and self-sufficiency skills. All this is in the context of an enjoyable unit with a proud tradition. The CGS Cadet Auxiliary provides enthusiastic encouragement and funding support to the Cadet Unit. In addition to the administrative and logistic support to the unit from the Department of Defence, the Cadet Auxiliary are instrumental in raising funds used to provide items of equipment which enhance safety, efficiency, learning and enjoyment for the boys of the Unit. The Cadet Auxiliary also works to promote the profile of the Unit within the school community at parentattended training days, the annual CGS ANZAC Day breakfast and service, and the CGS Open Day. If you are interested in joining the Cadet Auxiliary, or volunteering to assist in any activities, information can be obtained from committee members or the CGS Development Office.